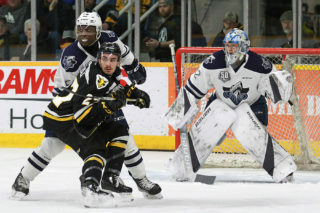 SYDNEY- The Screaming Eagles have announced that this season’s Fan Appreciation Game will take place on Friday, March 16th against the Saint John Sea Dogs at 7pm at Centre 200. 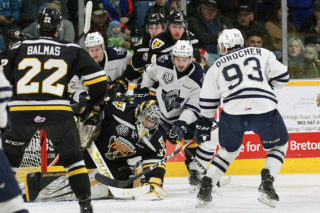 The game will feature reduced prices on tickets and concessions along with live entertainment by Jordan Musycsyn. Adult tickets for the game can be purchased for $11, senior tickets are $10, youth tickets are $7, and child tickets can be purchased for $5. Children under 6 are free. All concession prices will be 30% off regular price. 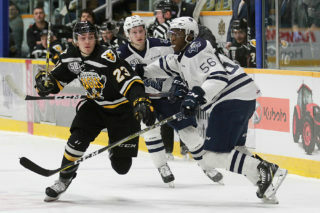 The Screaming Eagles also play the Sea Dogs on St. Patrick’s day at 4pm. 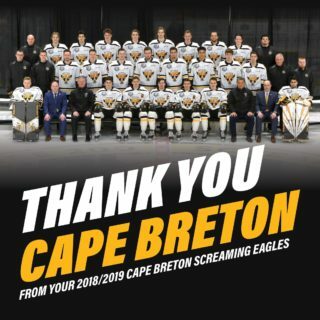 That game the Screaming Eagles will wear special Irish themed jerseys that will be raffled off in support of the Cape Breton Regional Hospital Foundation.